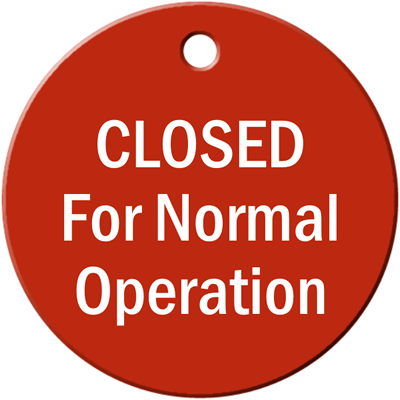 Can your plant or property recover quickly from a mistaken work order that shuts down or accidentally open a water, gas or other vital process line? 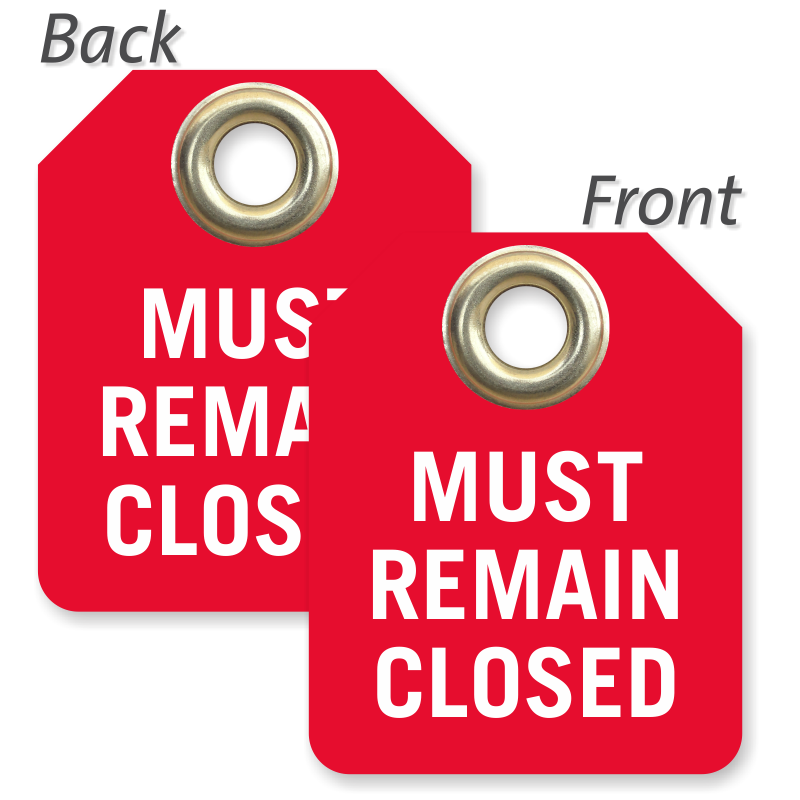 These tags are a proven way to reinforce your safety procedures, regardless of how well trained everyone is. 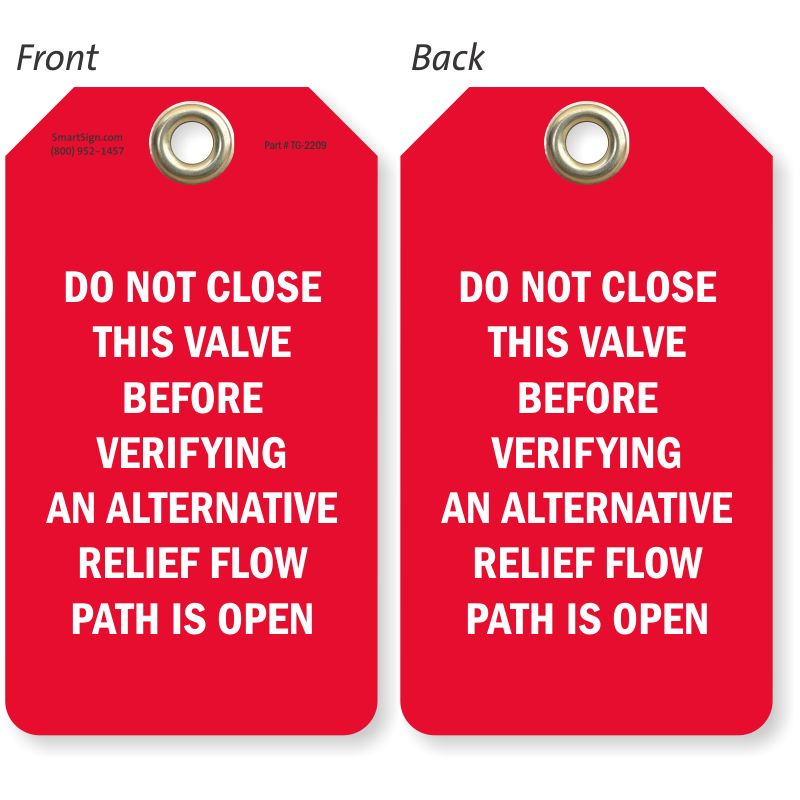 Give some a bit of pause – before they make a disastrous change on a valve. 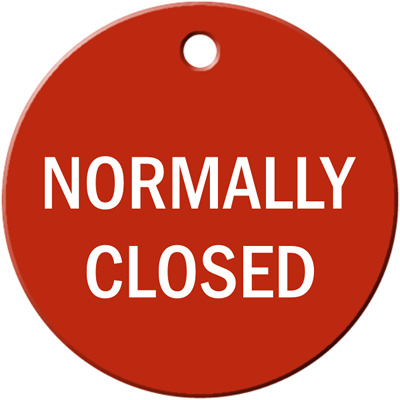 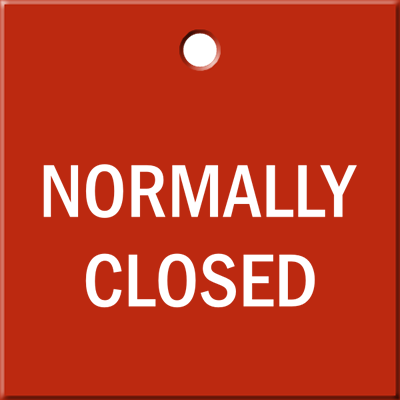 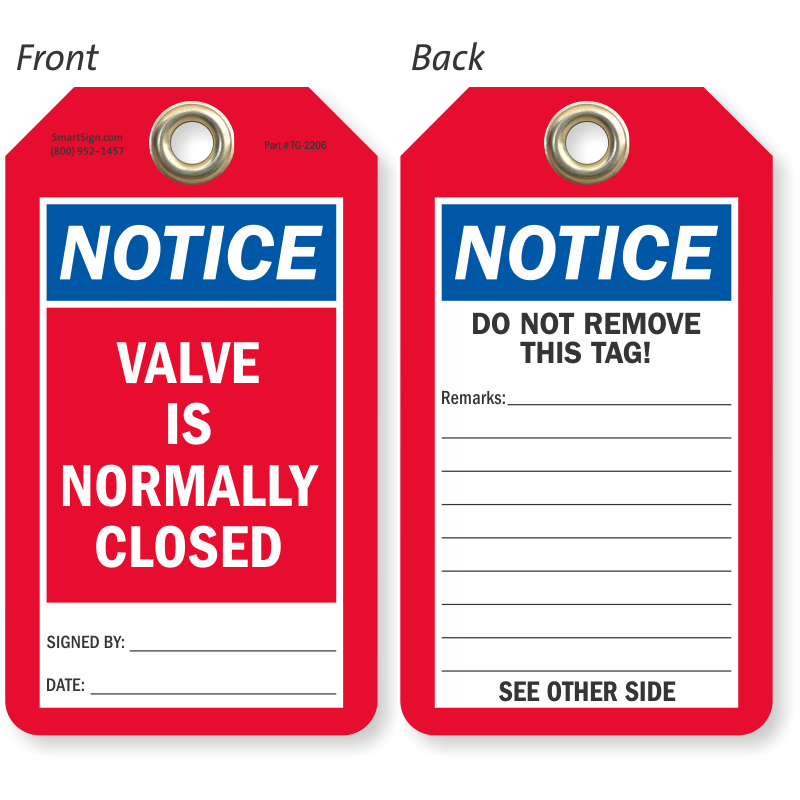 • These color-coded Normally Closed tags can be spotted quickly and easily. 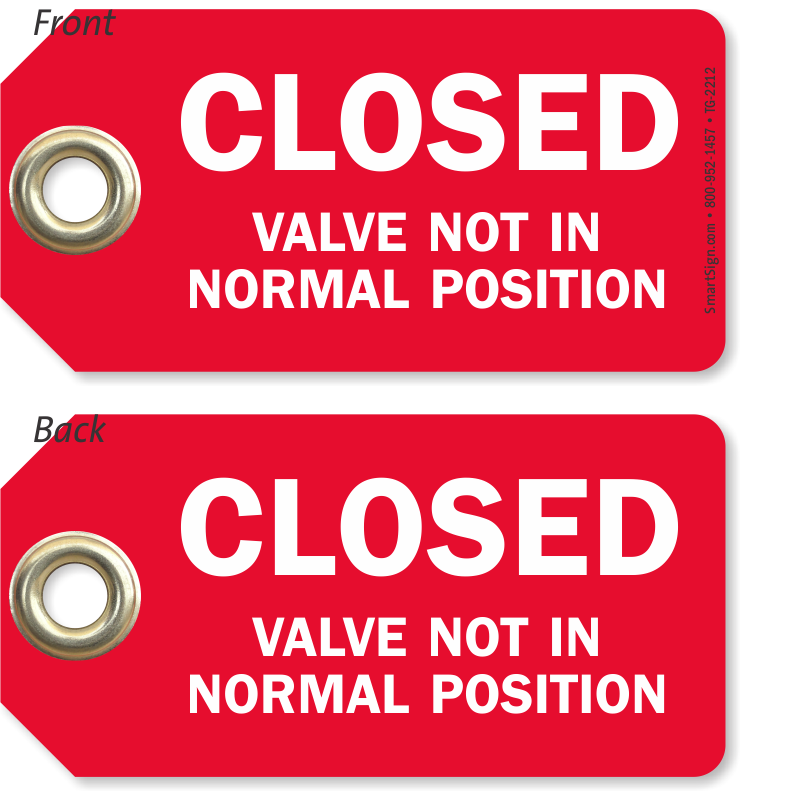 • Find a range of Normally Closed Valve Tag materials that range from durable engraved anodized aluminum to colorful plastic and screen printed vinyl. 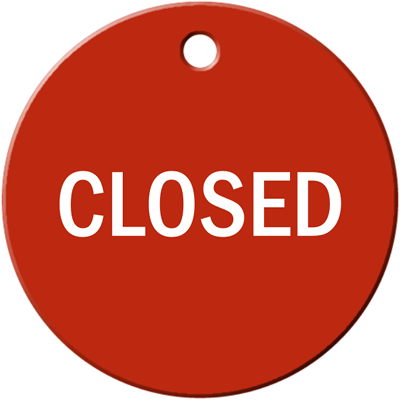 Choose either aluminum or plastic tags. 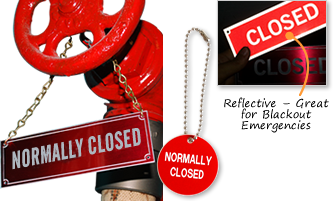 Choose either a durable engraved tag material or a reflective material, which is great for low light conditions.